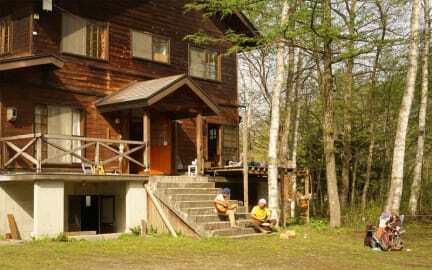 Share and Guest House Hakuba Share offers simple dormitory-style accommodations with free Wi-Fi. Guests can relax at the shared lounge and use the free on-site parking. Hakuba Iwatake Ski Area and Tsugaike Kogen Ski Area are both within a 5-minute drive away. The dormitory rooms feature beds on hardwood floors. Bathrooms and toilets are shared. Guests can refresh at the outdoor terrace or use the shared kitchen to make light meals. A fridge and a microwave is provided. Free shuttle service to JR Hakuba Train Station and Happo One Bus Terminal is available upon request. 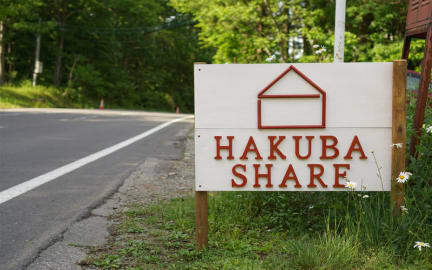 Share Guest House Hakuba is a 10-minute drive from JR Hakuba Train Station and Hakuba Happo One Ski Resort. JR Nagano Train Station is an hour drive away. ※The credit card settlement costs 5% of fees. (4) cancel on arrival date and no show ,100%. But, We don't have the special facilities for babies. Hakuba Share was a lovely place to stay. Hiro was an excellent host who was accommodating and generous. I would definitely recommend staying here if you're ever in Hakuba. The only downside is the location, but Hiro provided me with drop offs and pick ups each day, so this proved not to be an issue. Thanks for the stay! Excellent stay. Staff very friendly and helpful. They provided pick and drop at no additional cost. Hakuba is overall a must see.